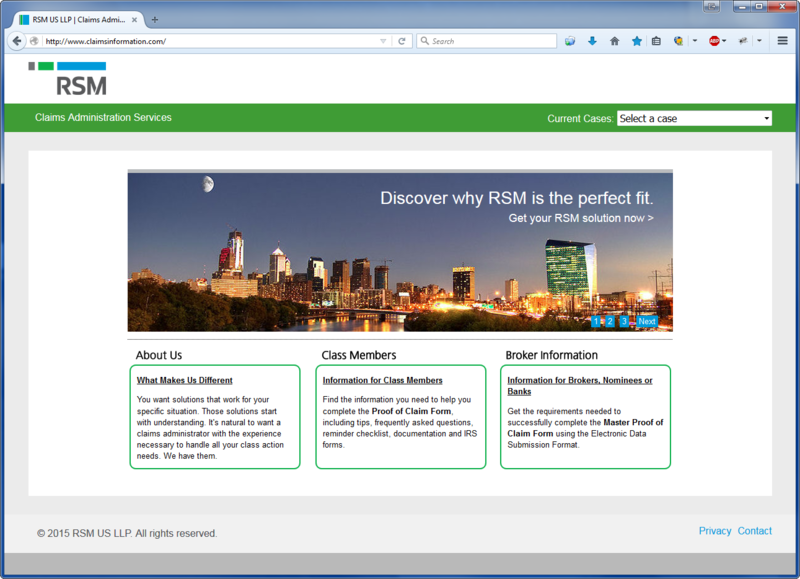 RSM is a world leading provider of audit, tax and consulting services to organizations around the world. Vega specifically works with the staff in the claims administration business unit. This group handles the entire administration of a legal settlement between parties. 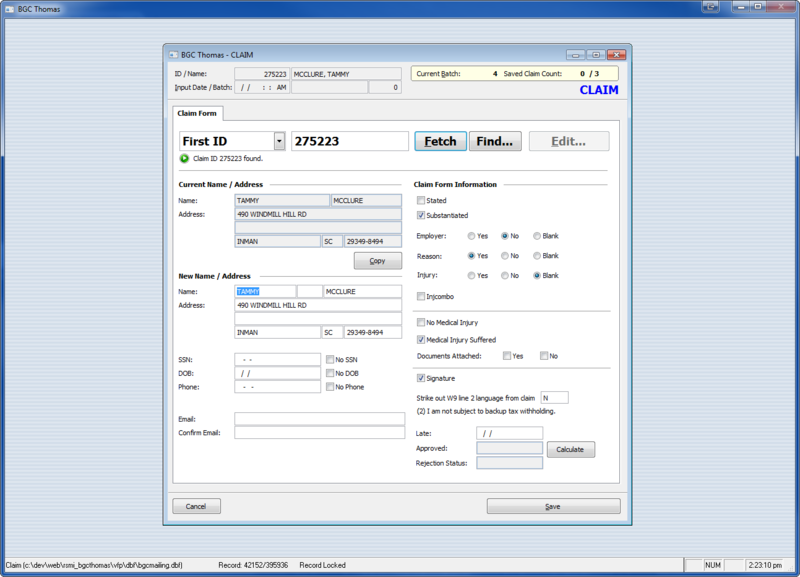 The claims administration unit in RSM provides the legal community services such as identifying potential class members, building and managing mailing lists, coordinating the design and publication of legal notices and claim forms, establishing case-related web sites, processing case-related mail, reviewing claim forms and distributing funds from a settlement. All of these tasks require guided application of information technology to ensure successful execution. And because every legal case is different, the software development for each case is custom. Vega Development and RSM have worked together for close to 20 years on a variety of projects all related to the administration of class action services. Create consolidated, cleaned mailing lists from provided sources. Purchase domain names and setup email services for the case. 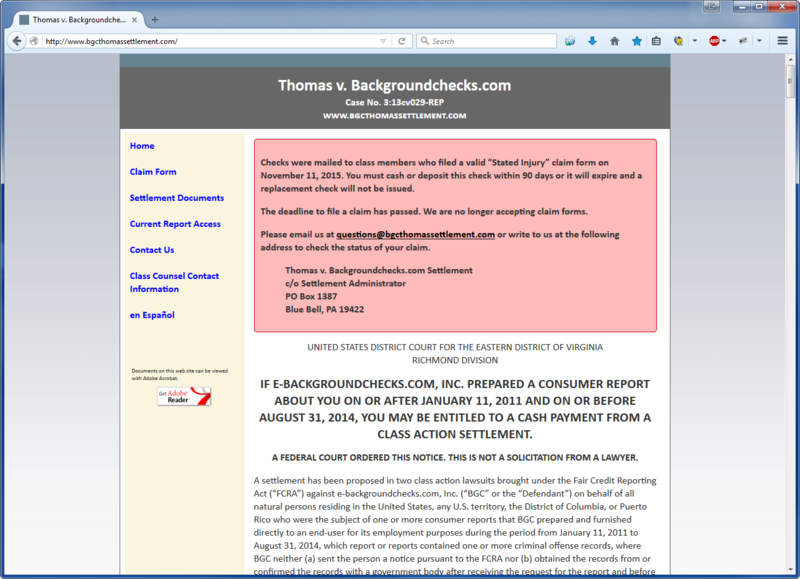 Build a custom web site for case information and secure claim filing. Build data entry tools to handle mailed in claim forms. Create custom reports as needed for case lawyers. Every case-related web presence built by Vega Development is a secure, consumer-facing data collection site. These sites are often advertised in major publications across the country. To date, Vega has worked with RSM on over 30 class action cases.